views and rumors within the DBMS industry over the course of the past quarter. 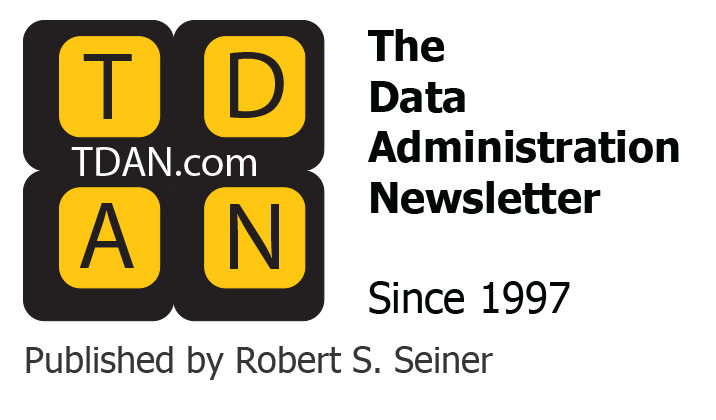 and examine the goings on in the world of data and database systems in this quarter’s edition of The Database Report! products from Empirix. This deal was actually announced late in March 2008.
e-Manager Enterprise, a process management application for application testing. e-Tester, an application for building sophisticated tests for functional and regression testing. e-Load, a load and performance testing framework. transitioned to Oracle. The financial terms of this deal were not disclosed. 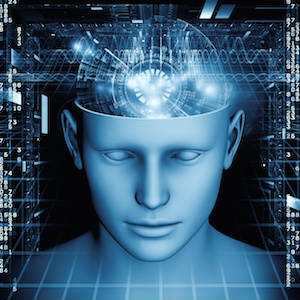 firms, not large enterprise software concerns such as Oracle. Oracle plans to create a new global business unit led by AdminServer’s CEO, Rick Connors. The division will focus on serving the insurance industry with enterprise applications. IBM was actually busier than Oracle on the acquisition front this quarter, announcing its intentions to acquire FilesX and Diligent. In mid April, IBM announced it was acquiring FilesX, a privately held storage software company that specializes in continuous data protection (CDP) and data and application recovery software. see no change to the current Tivoli Storage Manager environment after the FilesX technology is integrated into the IBM portfolio. of the deal were not disclosed, but IBM indicated that Diligent’s technologies and employees will become part of the IBM System Storage business unit of the IBM Systems and Technology Group. – all while maintaining the integrity of the data. allowing our clients to eliminate redundant data and streamline the infrastructure required to support their business…” said Andy Monshaw, general manager, IBM System Storage. Diligent has approximately 100 employees and more than 200 customers. InfoDyne provides software that is designed to enable today’s highly competitive trading firms and other venues to process exploding data volumes at microsecond response rates. acquisition, the InfoDyne products will become part of the IBM Software Group WebSphere software brand. Combined with InfoDyne, IBM now offers a comprehensive software portfolio to address the need for real-time and ultra-high speed data delivery and consumption. provider of development tools for business applications. The ANTS data server will be rebranded and sold by Four J’s under the name Genero db. required. The acquisition of Inventa brings additional experienced professional services to the fold to deploy its Compatibility Server offerings. same quarter in 2007. So, it was a very nice first quarter for IBM. Lotus and Rational products, were $3.8 billion, up 16% versus the first quarter of 2007. Operating systems revenues of $529 million increased 1% compared with the prior-year quarter. of Cognos, which closed in the quarter. In late April, Microsoft Corp. announced third quarter revenue, operating income and diluted earnings per share of $14.45 billion, $4.41 billion and $0.47, respectively. group is where SQL Server resides. quarter later than Microsoft had originally indicated it would be available. And that is most likely why Microsoft launched a product that was not GA this past quarter. quarterly operating income was up 35% to $1.9 billion and net income was up 30% to $1.3 billion. revenues were up 25% to $2.6 billion. Service revenues were up 21% to $1.1 billion, compared to the same quarter last year. billion in sales fell short. This caused a 7% drop in Oracle’s stock the day after the report, which also impacted many other tech stocks. periods. So analysts were likely taken aback by the miss. software documentation inappropriately. You can read the complaint in its entirety at http://www.oracle.com/sapsuit/complaint.pdf. certain confidential information related to the lawsuit. SAP contended that sensitive and strategic information could find its way into the hands of Oracle’s top executives. website set up for this lawsuit. prior acquisition of Pilot Software and OutlookSoft, and Business Objects’ prior acquisition of ALG, SRC and Cartesis. Objects’ SRC software to the SAP-BPC offering. numerous regulatory requirements. Customers who want a unified planning and consolidation tool will be offered SAP-BPC, which is the former OutlookSoft product. For strategy management (including dashboards and scorecards), SAP Strategy Management, which came to SAP from Pilot Software, will be the preferred solution. SAP intends to support the products it retires for at least three years. Typically, this means security patches, bug fixes and limited support, but no significant new features. These announcements do not tackle every area with overlap in the BI space, but it is a good first step. The Most Influential People in IT? The only other interesting person on the list from the perspective of the database industry was at number twenty five, Henning Kagermann, Co-CEO of SAP. headline stating that IBM May Open Source DB2. An IBM spokeswoman emailed the following response: “IBM has no plans to open source DB2.” Well, of course, it doesn’t! You don’t open source a cash cow like DB2. IBM Solid as a Rock? deliver a new production version of the technology. offering can be implemented stand-alone, or as a cache to the family of data servers, including IBM’s mainframe DB2 technology as well as the Informix Dynamic Server (IDS). MySQL’s plans to provide certain features only to paying customers caused somewhat of a dustup in the open source community. from a true open source model to a proprietary model. available to paying customers, Sun is raising fears that it will abandon open source as it attempts to compete with IBM, Oracle and Microsoft. will be interesting to see if, and how much, this hurts MySQL usage and adoption. Some believe it will cause MySQL to lose feedback and contributions from its users in the open source community. disk-based clustering. There is nothing groundbreaking about these features, but they may be able to help MySQL better compete with IBM, Oracle and Microsoft. queries by pulling data directly from memory without the need for registers or cache. The product is slated to be generally available in fall of 2008.
memory in a compressed format, it flows into the SQL chip and is processed as it passes through. – a market it heretofore has not penetrated. 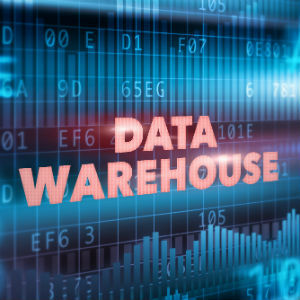 Teradata has delivered three flavors of data warehouse appliance, which the company rolled out in April. Teradata 550 SMP (symmetric multiprocessing), with a price of $67,000 per terabyte, a departmental data warehouse. Teradata 5550, an active data warehouse-class platform, starts at $200,000 per terabyte depending on the performance and availability needs of the customer. You can get details about the three new appliances in the Teradata press release. In mid May, Sybase announced that the Sybase IQ analytics server had set a new Guinness World Record by powering the world’s largest data warehouse on a Sun SPARC Enterprise M9000 server. Ho hum, I bet the record will be broken soon. I’m not overly impressed with benchmark numbers and world record announcements, but it made the news this quarter, so I had to mention it. development. The open source version of Ingres OpenROAD is now available as a free download via the Ingres community website. viewing, bug tool for tracking and entering bugs, a community wiki for sharing information and to gather ideas on new projects. initiatives are the Ingres Janitors Project, Open Source Boot Camp, and the Global Ingres University Alliance. don’t miss out on any of them by checking in with us each quarter to learn about what’s new with your favorite databases.